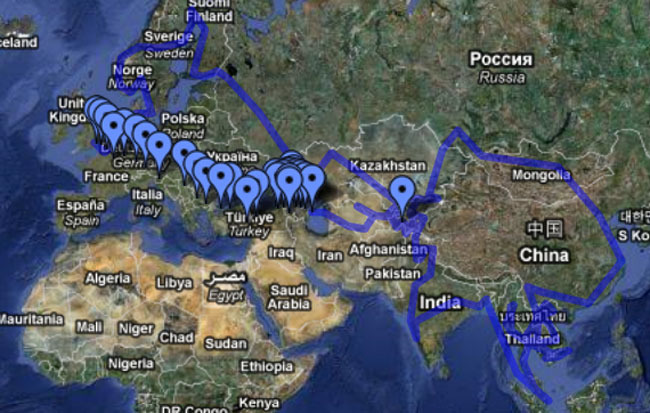 Here's our completed route, from Fordingbridge in the UK to Singapore, Ulaan Baatur and back again. We've drawn the route by hand so it's not 100% exact but it gives a pretty good idea! Visit the map link here.